Home Identities Zimbabwe’s new cabinet: Balancing patronage and merit? President Mnangagwa appointed a new cabinet on September 7, 2018. Washington Katema explains the balancing of ethnic, patronage and merit in his cabinet appointments and questions whether it signals a change in Zimbabwe’s politics. On Friday 7 September, President Emmerson Mnangagwa appointed a new cabinet. Coming on the back of a controversial “military assisted transition” and subsequent election, this highly anticipated cabinet was seen as a test of whether Mnangagwa was turning a new corner, rejecting the previous practice of making patronage appointments and recycling ‘deadwood’. The end result has seen him straddle a fine line between the politics of patronage and meritocracy. While a lot of excitement has been generated by the introduction into the governmental fold of the likes of Olympic Gold medallist Kirsty Coventry, and Finance lodestar Mthuli Ncube, the biggest political development was the deployment of Muchinguri-Kashiri as minister defense to replace Vice President General Constantino Chiwenga, who had been illegally holding two positions in the previous government. Per 2013 constitution, it is illegal for a public official to hold two posts in government. While widely discussed, there has been more heat than light regarding the motive behind the removal of Chiwenga. Speculation is rife that the move is a result of the former army supremo receiving criticism from the public and external actors especially the United Kingdom Member of Parliament Kate Hoey, for allegedly taking the hardline military response that led to the deaths of seven protestors on August 1. If this comes to pass, Mnangagwa could be ‘coup-proofing’ himself, through taking military oversight and control away from a man who, in November 2017, showed he was not afraid to use it to topple a president. He may also be seeking to consolidate his hold on power by changing the ethnic composition in government. Muchinguri-Kashiri’s appointment also means that for the first time since independence, there’s no one from the Zezuru ethnic group at the very top of the military hierarchy. The new minister of defence is a Manyika and so is the head of the army. The commander of defence forces, the airforce chief and head of intelligence, are all from the President’s own ethnic group, the Karangas. Chris Maroleng, a South African political analyst calls it the “Zezuru sum game”. He aptly explained this phenomenon by highlighting that during Mugabe’s reign, there was a deliberate allocation of key positions in government and the ruling party to members of the Zezuru faction – “bringing it a step closer to acquiring absolute control of the ruling party and all the other important institutions of the state (the executive, the legislature, the judiciary and all the security agencies)” Former president Robert Mugabe preferred to be replaced by someone from the Zezuru ethnic group, and he recently disclosed that his preferred successor was Sydney Sekeramayi, – a Zezuru. It is also important to note that when Mugabe was president, commander of the Defence forces, the head of the Airforce, and Police Chief were all from his own ethnic group, the Zezurus. There is also evidence of continued patronage politics. The two retired Generals, Perrence Shiri and Sibusiso Moyo who led the military coup in November 2017 with VP Chiwenga, have retained their respective portfolios at Agriculture and Foreign Affairs. Similarly, Mnangagwa’s close confidants Jorum Gumbo, and July Moyo – who has received a political life jacket after he lost in the National Assembly election –have both been given places in the new cabinet, being given the Energy and Local Government briefs, respectively. 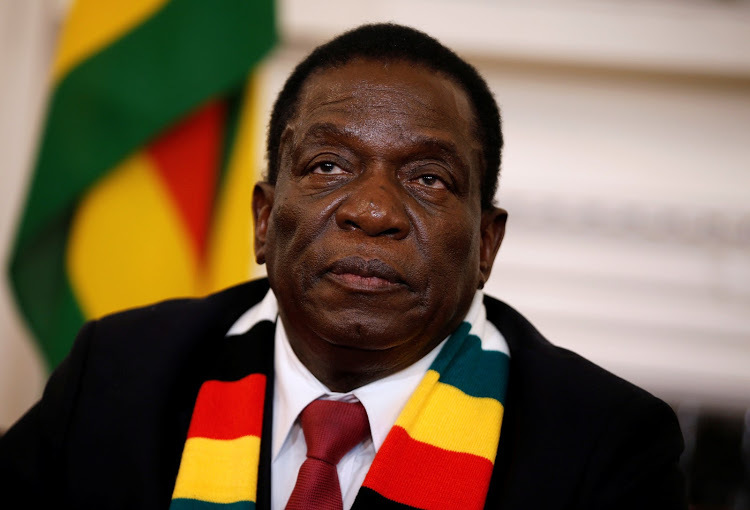 Other staunch Mnangagwa supporters like Kazembe Kazembe, Energy Mutodi,and Larry Mavhima among others have also been included as ministers, deputy ministers and ministers of state. In essence, the bulk of Mnangagwa’s appointments reflect individuals whom he has strong personal ties to or owes his political position to.As a result, military figures have tended to win out over war veterans and civilian ZANU PF members. For example, the war veterans chairperson, Christopher Mutsvangwa, continues to operate in political limbo. If lucky, he may retain his post as advisor to the president. However, it is important to note that the cabinet is not all bad, and neither is it all driven by patronage. Although women remain under-represented, things look better than in the past when it comes to gender. The 20 member cabinet has six women (30%), with Oppah Muchinguri Kashiri becoming the first ever Zimbabwean female Minister of Defence and War Veterans. There are also changes elsewhere. In a clear effort to harvest both domestic and external legitimacy, Mnangagwa made some refreshing appointments, with Professor Mthuli Ncube’s selection as Minister of Finance as the major highlight. Mthuli Ncube is an Cambridge University trained Financial Mathematician who has taught at The London School of Economics and Oxford University. 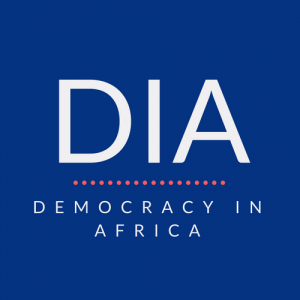 He is also former Vice President of the African Development Bank, and if given necessary political support, can play a key role in turning around the economy. Mthuli’s, is clearly a merit based appointment which will play well in the global and local politics of optics, and will aid Mnangagwa’s efforts to build performance legitimacy as his procedural legitimacy was tainted by a disputed election. Other appointments similar to Mthuli Ncube’s are Winston Chitando in Mines, Kirsty Coventry in Sport, Joel Matiza in transport, and Professors Amon Murwira and Paul Mavima in the education ministries. But, there remains a serious question about whether these more technocratic types will be able to force through a new agenda. Mthuli and others in his cohort will have to swim with sharks without being swallowed. ZANU PF’s patronage culture, command politics, and the legacy of a deeply politicized state will act as serious constraints to the ability of technocrats to ensure fiscal discipline and transform the economy. These tasks are made worse by the relocation of power from the cabinet to the ruling party, especially its politiburo. Over the last decade, – starting from the inclusive government era (2009-2013) most key decisions ARE made in the Politburo, for example, the decision to appoint provincial governors. Many citizens have celebrated the non-appointment of some heavyweights such as Obert Mpofu, ZANU-PF’s secretary for Administration and former Minister of Home Affairs, Patrick Chinamasa, former Minister of Finance, Mike Bimha, former Minister of Industry, David Parirenyatwa, former Minister of Health as well as the likes of Paul Mangwana and Christopher Mutsvangwa and it is possible that the locus of decision making and power has shifted. However, it is also possible that the growing influence of the party over the cabinet will enable these stalwarts to remain influential even though they have been overlooked. So, what are the prospects for the future? Here, history may prove to be a good guide. In the recent discussions, many have forgotten that President Mugabe once also appointed a technocratic cabinet, which gave people hope that politics was about to change. However, the technocrats failed to build political support for the necessary reforms and the experiment was soon abandoned. Nkosana Moyo, who was a technocratic pick in that cabinet resigned and another technocrat, Simba Makoni who was Minister of Finance was fired. It is possible that a similar fate awaits the new crop of entrants on the Zimbabwean government gravy train.